The Caribbean satellite map above shows the current hurricane and tropical storm predictions from the U.S. National Hurricane Center in graphical form. 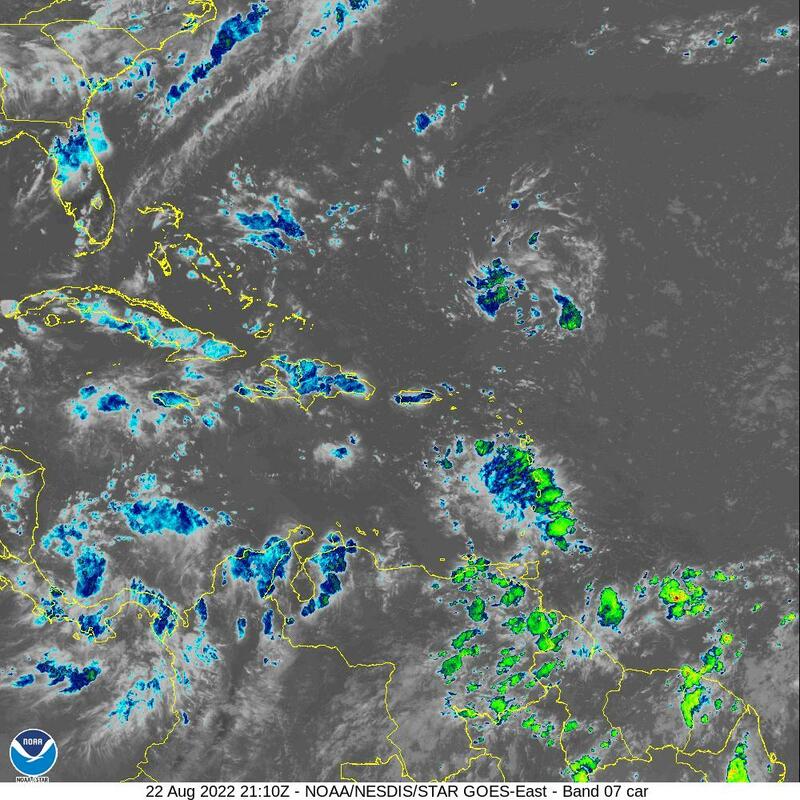 The doppler radar image below shows the direction of storms in the Atlantic and Caribbean. The second image below is a satellite map of the Caribbean.